We held a "virtual inspection" webinar last week and were thrilled with the level of participation. 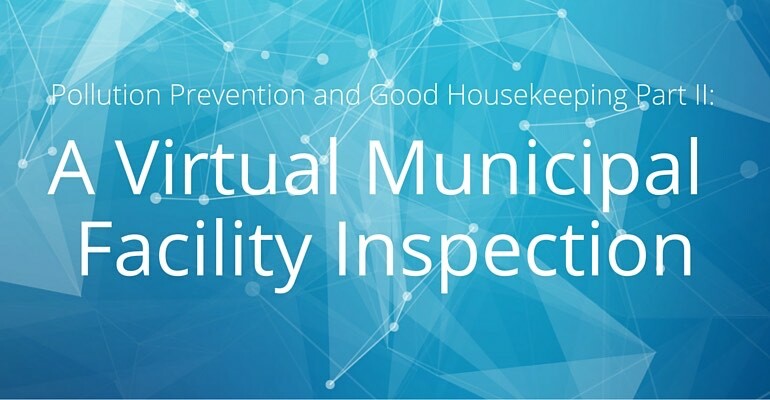 In the webinar, we took participants step-by-step through a real municipal facility inspection. Participants learned how to identify and document deficiencies, as well as recommend corrective actions. The webinar satisfies one program requirement just by participating (annual Municipal Employee Training). If you missed the live event, we have posted the recording below for you to watch at your convenience. Don't forget to download this blank checklist with completed examples to aid in your training and evaluation process.